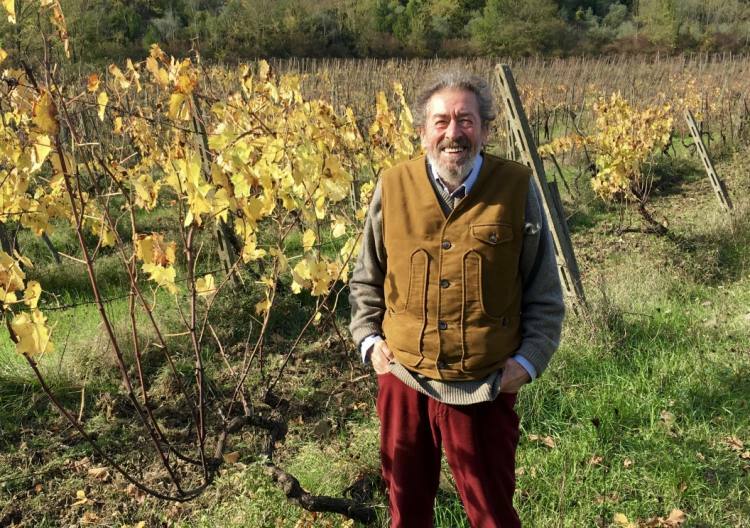 Twenty years ago, Eugenio Bocchino and his wife, Cinzia Pelazza, began a challenging adventure that is now bearing fruit in terms of their lovely Langhe Nebbiolo and Barolo wines. 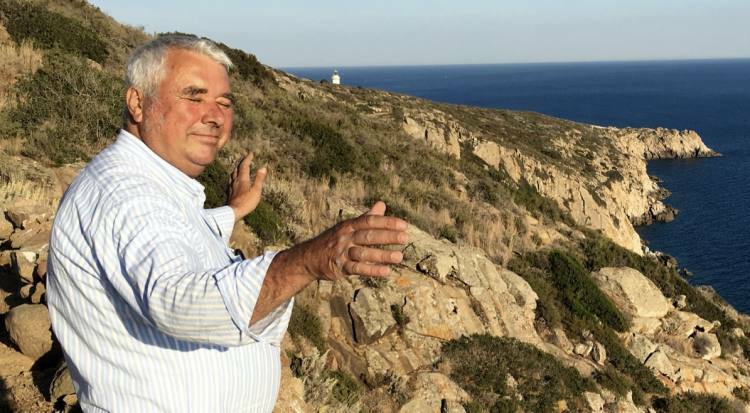 In 1996, they inherited Cinzia’s grandfather tiny vineyard and in 1997, made about 250 bottles of wine with one of his old presses and a single barrel in their garage. 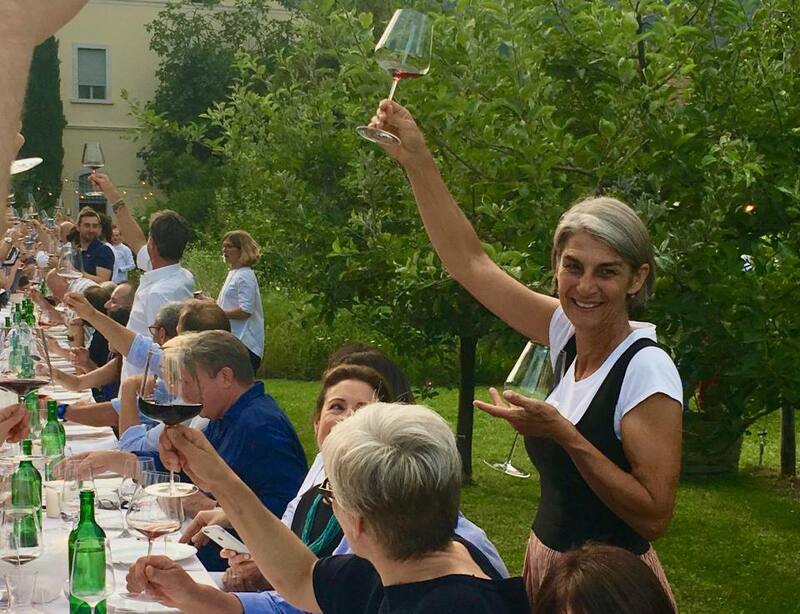 Now, they have about thirteen acres of vines in different Barolo areas (Alba, Roddi, Verduno and La Morra) and make 20-25,000 annually in a shared cantina in La Morra. 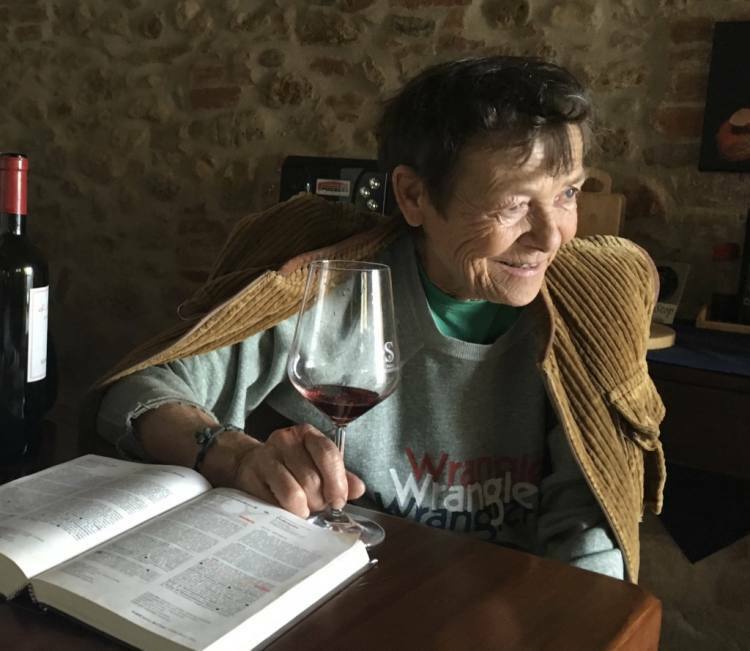 It has not been easy, but a walk with them in the vineyard above their home began to help me understand why they grow grapes and make wine as they do. We started up the path that was verdant with early summer growth. Then, stopped to eat cherries off the tree that practically exploded with juicy freshness in my mouth. Their dog lolled lazily in the grass. Their La Perucca vineyard is above the house where Eugenio grew up, and where they now live with their daughter, Lu, overlooking Alba, near the border between Barolo and Barbaresco, just outside the DOCG zones. The clay/sand soil has more sand than in the vineyards in the Barolo DOCG. Once we were in the vines, both Eugenio and Cinzia were engrossed. …wild grasses, herbs and vitality. 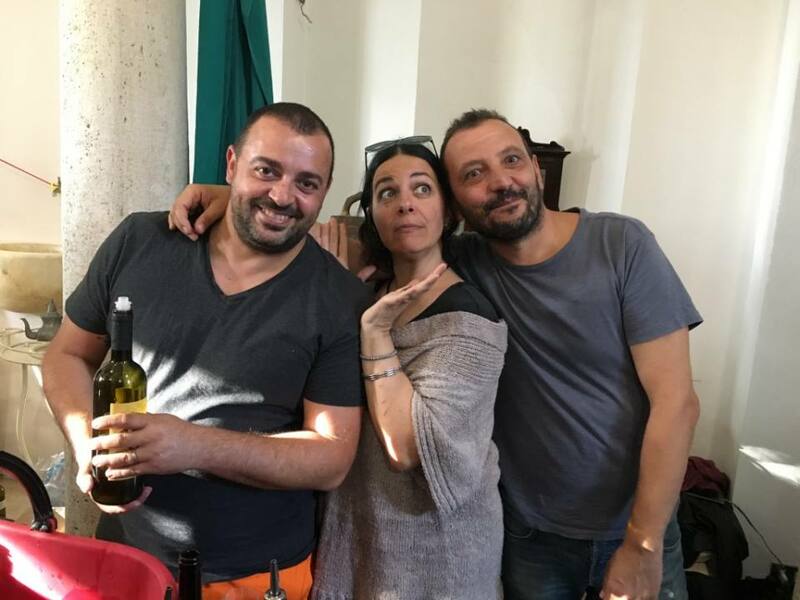 Eugenio and Cinzia have become members of Nicholas Joly’s Renaissance Italia and the natural wine association ViniVeri that includes greats like Giuseppe Rinaldi, Paolo Bea and Salvatore Ferrandes. A storm was brewing as Eugenio and I left to go up to a higher, rented vineyard with forty year old Nebbiolo vines. The grapes from this vineyard are used for the Suo di Giacomo wine. Cinzia and Eugenio don’t prune the tops of the vines, allowing them to find their own equilibrium. They try to pass as little as possible with the tractor, which compacts the soil, and to minimize the practice of sovescio (tilling plants into the soil to revitalize it). They use natural methods for adding oxygen and nitrogen to the soil like planting alfalfa between the vines. The plants and grass in the vineyard absorb water from heavy rains, stop erosion and keep the vineyards cool in hot weather. As the first big drops of rain began falling, Eugenio and I got back in the car to drive a half an hour to the cellar he has just moved into. On the way there, we drove through a fierce hail storm and couldn’t stop in his Rocabella vineyard that is halfway between Alba and La Morra in Roddi. 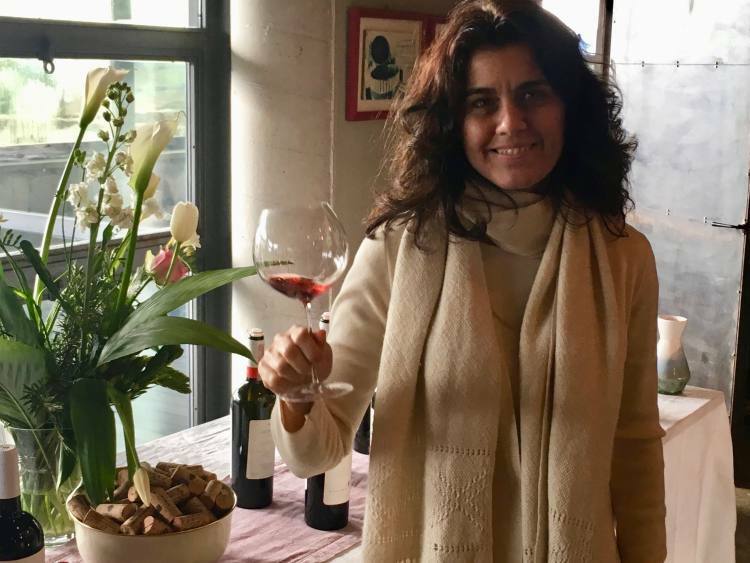 One of the difficulties for the “next generation” of winegrowers in Barolo like Eugenio and Cinzia is finding vineyards and a cellar that suit their needs and philosophy and are within reach financially. It is impressive that year by year, they have worked doggedly to get access to what they now have. 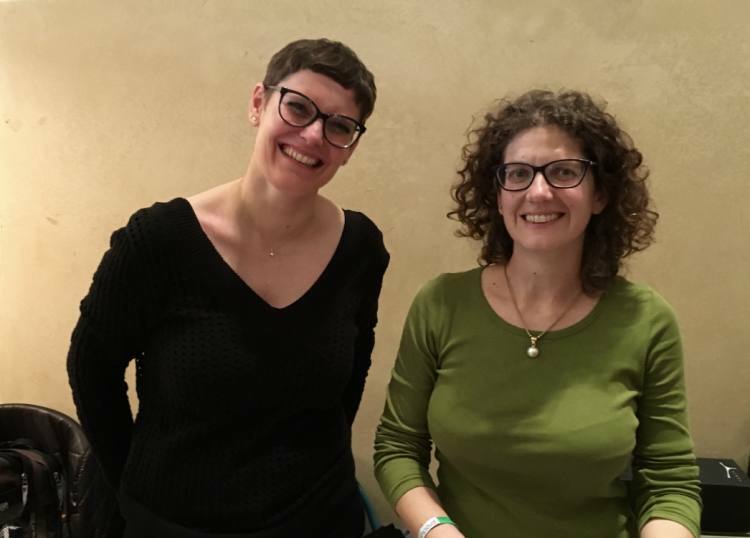 Their most recent decision was to move into half of a large cellar belonging to another winegrower, Eraldo Viberti, in La Morra with a similar grape growing and winemaking philosophies. He inherited his family’s vineyards in La Morra and sold the grapes in bulk until 1987 when he began bottling. His 20-25,000 bottles are divided among Dolcetto, Barbera, Nebbiolo and Barolo. Since the cellar is part of an old cascina that has largely been abandoned, there is plenty of room for both to work independently in separate spaces while sharing fixed costs. After all the work that Cinzia and Eugenio do in the vineyards to make the vines naturally strong and the grapes naturally flavorful, Eugenio intervenes as little as possible here. All the wines ferment spontaneously in stainless steel with indigenous yeasts and macerate for varying lengths of time on the skins with a “submerged cap” (the grape skins that float to the top and harden during fermentation). Submerging instead of breaking the cap is a softer method that Eugenio settled on after experimenting with both. We sat down in the cellar to taste five wines: 3 Langhe Nebbiolos and 2 Barolo “Crus”. They were all complex but not heavy. The characteristics of the Bocchino vineyards, the agricultural methods and the cellar processes are coherent. They result in wines with freshness, lots of aromas and flavors, and good structure for aging without excessive tannins. 2014 was a difficult vintage in which all the Nebbiolo was vinified as Nebbiolo and none as Barolo. “We had so much rain and hail in May,” he told me, “that I had to put all the grapes from all the Nebbiolo vineyards in this one wine.” Consequently, this Langhe Nebbiolo is a particularly interesting one with more depth than might be found typically. Twenty days maceration then 12-14 months in large barrels. Delightful wine named for Cinzia’s grandfather, Giacomo. Primarily Nebbiolo with some Barbera added. The Nebbiolo contributes elegance, depth and complexity, while the Barbera adds freshness and vivacity. The grapes come from old vines in the high altitude vineyard I visited with Eugenio overlooking Alba. “A vintage that gave especially balanced wines,” said Eugenio. Plenty of complexity and structure (14,5% alcohol) but not overwhelming. From the Alba vineyard that Eugenio and Cinzia first planted. The cherries that we tasted were here. Piacevole…approachable tannins. 30 months in large barrels and 2 years in the bottle before release. “A typical vintage except a little hotter.” Rich, elegant “Cru” from old vines 40-45 years old at 450 meters in the “La Serra” in La Morra. The soil has more clay than sand, resulting in more tannins in the wine. (14% alcohol) 30 days submerged cap maceration. 2 years in large barrels, 6 months in cement vats to settle and a year in the bottle before release. Lu is Bocchino’s top “cru” from the best grapes of the “La Serra” and “Fossati” vineyards, named for Eugenio and Cinzia’s daughter, Lucia. 30 days submerged cap maceration. 2 years in larger barrels. 6-12 months in cement vats to settle and a year in the bottle before release.